Going to the airport in Urumqi -- or any airport in Xinjiang -- is an experience. We were forewarned not to have any battery charging equipment in our luggage, all electronic equipment in our carry-on, no liquids exceeding 100ml and no sharp objects at all. When we were checking in, our luggage was screened at the same time so that if there was a problem, we were pulled aside to open the suitcase for inspection. In my case I completely forgot about a mobile phone charger I had in my luggage. Only after this was sorted by putting it in my hand carry bag was I finally given my boarding pass. 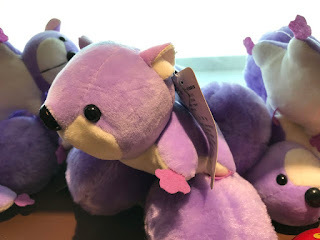 Anyone want a lavender squirrel? Then we went through rigorous security checks. One tour member was found to have a pocket knife in their bag -- they forgot to pack it in their luggage. It was confiscated. And we were definitely patted down -- practically everywhere. We even had to take off our shoes and lift our feet off to be wanded in case there might be explosive powder or something on them. The airport looks new, but the design is so counter intuitive. Gates are down a flight of stairs -- why not make them all the same level? And all the shops sell the same things at the same prices... it got boring very quickly. How many more dried dates can I buy? And purple squirrels with a lavender smell? Or how about a book on Jack Ma? 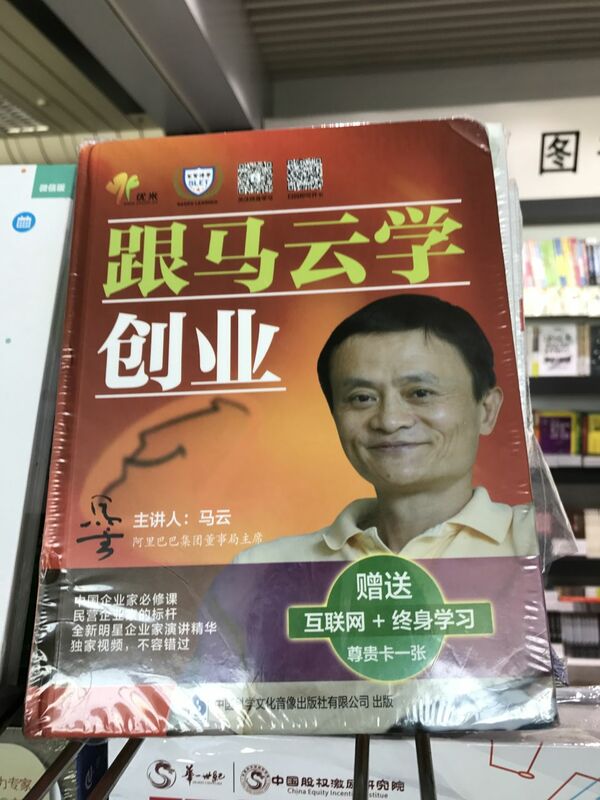 Or you could go to the bookstore (all in Chinese) and get a book on how Jack Ma Yun of Alibaba became a billionaire. Just in case you wanted to know. You could tell which restaurant was the best just by seeing how many people were there; if there was a line-up that was the one to go to. The others were either too expensive or didn't taste good. Our flight from Urumqi to Kashgar was about an hour and a half, and when we arrived, we had to walk down the stairs to a shuttle bus that drove us to the terminal. When we got there, there was only one baggage claim. Guess that was ours.